Regional publisher Archant has put its East London HQ up for sale and is on the lookout for new premises for around 100 staff based there. The offices at 539 High Road, Ilford, currently house the Ilford Recorder, Romford Recorder, Newham Recorder and East London Advertiser. However with around 100 staff covering two floors, Archant has now decided to look for smaller premises for the titles based there. 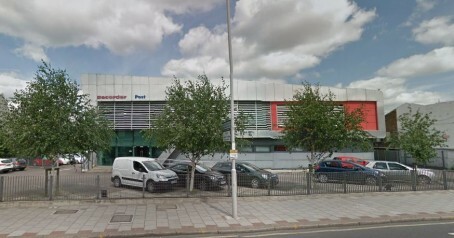 Many of the production roles at the East London titles have now shifted to a central subbing hub in Norwich, but reporters and advertising staff remain based at the Ilford office. Staff at the centre were told of the plans to sell the building last week. It is understood that the company is looking to finalise the move in January, with Romford the favoured location for the new office base. An Archant spokesman said: “We have just started the process of looking for a new office for our teams currently based in Ilford. We will be looking for an office that is better located for public transport and with better facilities for staff on the doorstep, but still within the area served by our east London and Essex newspapers. The Ilford-based titles have undergone numerous restructures over recent years, with individual editors replaced by two executive editors each covering three titles. Chris Carter has responsibility for the Romford and Ilford Recorders while Michael Adkins oversees the Newham Recorder, Docklands and East London Advertiser, and Barking and Dagenham Post. I remember Archant crowing about rebuilding these premises, boasting all kinds of advantages that it would bring. Now production has shifted to Norwich and it sounds like the Ilford Recorder will be based in Romford. Feel sorry for Chris Carter and his staff. The Death Star won’t be missed. What a joke. Yet another example of archant killing off its titles in the name of cost savings. Workloads are increasing constantly for the poor few who are left after the various axe men (and women) have rolled through the offices (that are left!) and it is becoming all but impossible to do more than churn a press release to feed the content machine. Not so much journalism anymore, as cutting and pasting. First the offices, what’s next? Years of cutbacks and lack of investment have brought many East London titles to their knees – titles that sold 60,000 in their heyday. Shameful managements to blame and once again reporters and subs have to suffer. How can you produce a Docklands paper like the ELA from Romford – no gelling with the community anymore and they should be your first point of contact for news. Sad days and I fear just another nail in the coffin.